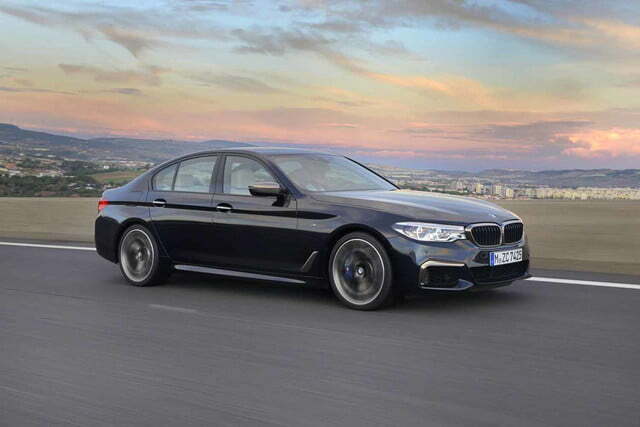 BMW is bridging the gap between the standard 5 Series and the mean, track-ready M5 with an all-new model named M550i. 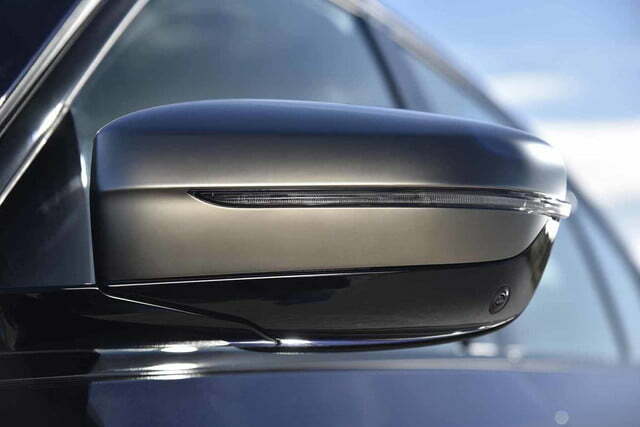 The Munich-based firm’s latest executive rocket will be presented to the public next month during the Detroit Auto Show. 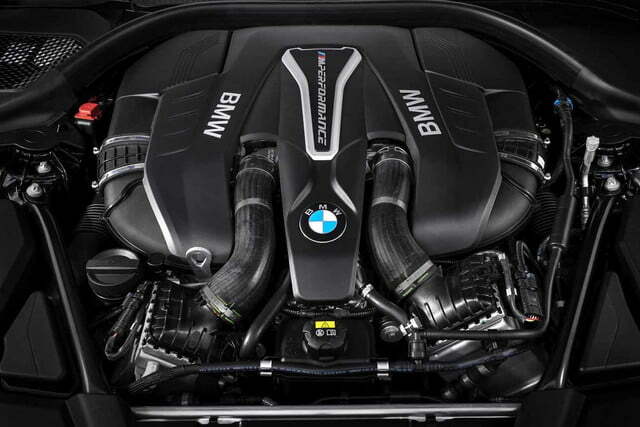 The M550i is equipped with a twin-turbocharged, 4.4-liter V8 engine tuned to develop 456 horsepower at 5,500 rpm and 480 pound-feet of torque from just 1,800 rpm. 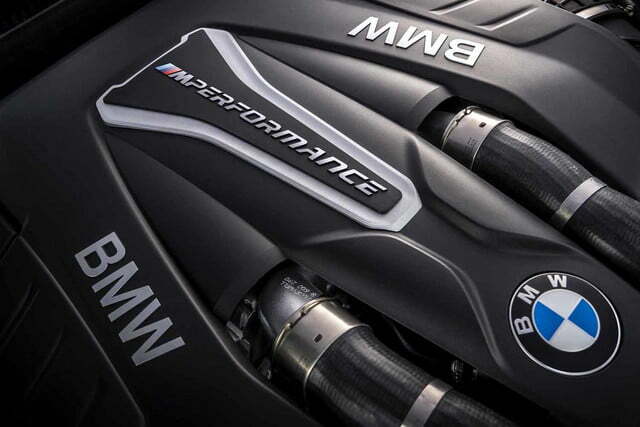 The powerful eight-cylinder helps the M550i achieve a zero-to-60 time of under four seconds and reach a top speed that’s electronically limited to 155 mph. 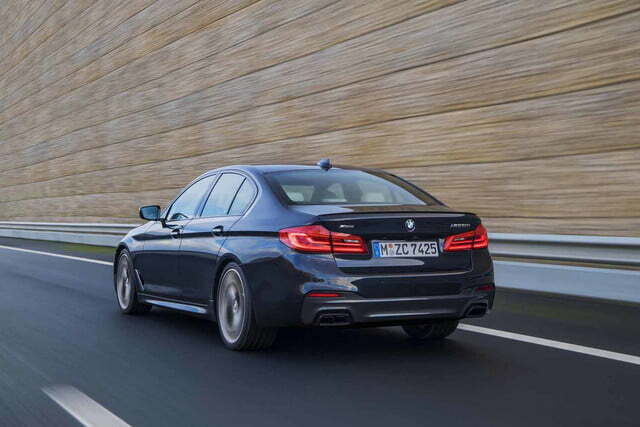 In other words, it’s quicker than the current-generation M5 by a comfortable margin. 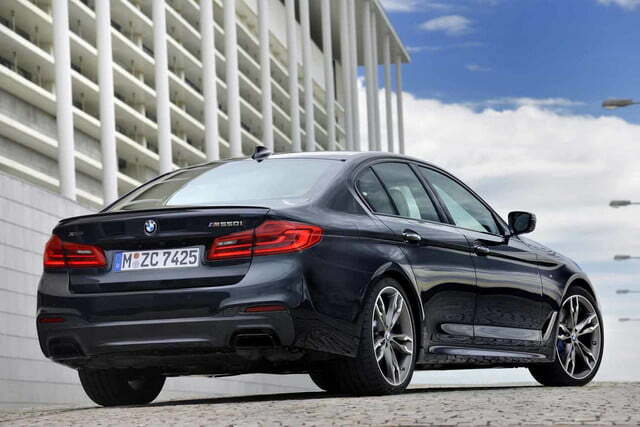 An eight-speed automatic transmission relays the V8’s power to all four wheels via BMW’s xDrive all-wheel drive system. 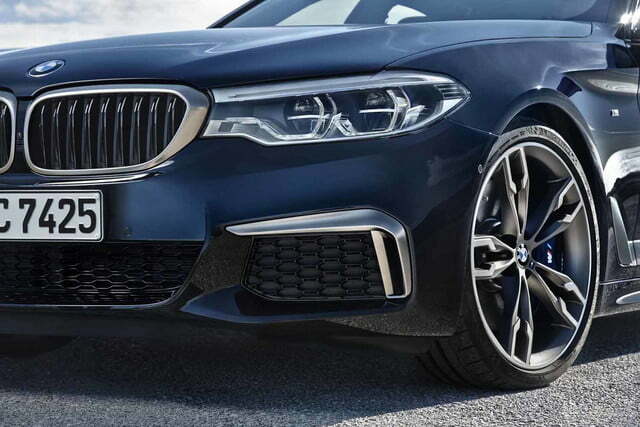 More power is sent to the back wheels to ensure the M550i retains the fun, rear-biased handling enthusiasts expect from a BMW. Handling is further improved by an adaptive M suspension that lowers the ride height and a more precise power steering system. 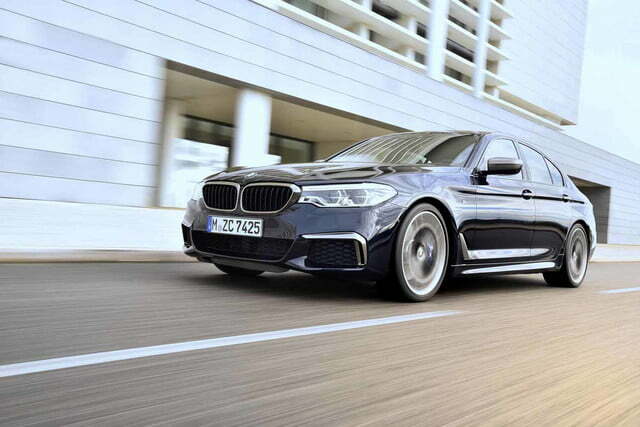 Designers have penned a muscular-looking body kit to further differentiate the M550i from the standard 5 Series. It includes a deeper front bumper with bigger air vents, side skirts, and a small spoiler attached to the trunk lid. Grey and black accents emphasize the low-key look, and 19-inch alloy wheels come standard, while 20-inch units are available at an extra cost. 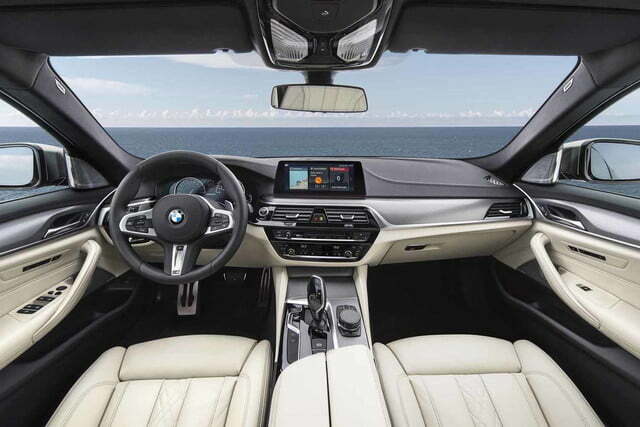 The performance theme continues in the cabin with sport seats for the front passengers, aluminum pedals, a three-spoke steering wheel, and blue stitching that provides contrast to the available black leather upholstery. 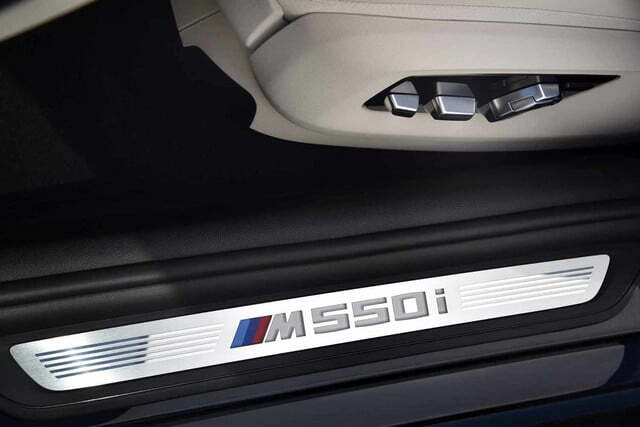 The M550i is undeniably geared towards driving enjoyment, but it comes with a long and comprehensive list of electronic driving aids. 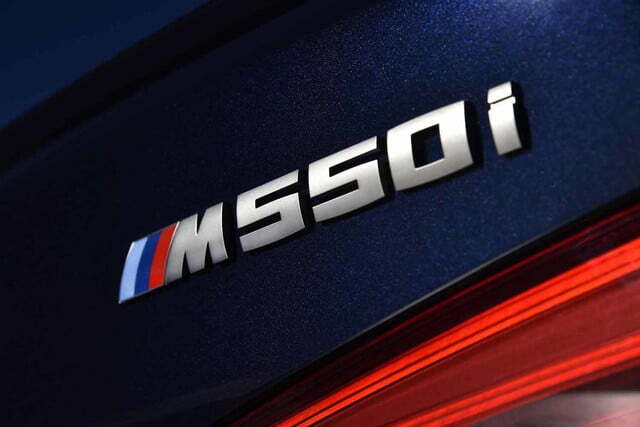 After greeting the show-going public in the nation’s motor city, the 2018 BMW M550i will go on sale in the spring. Pricing information hasn’t been released yet. 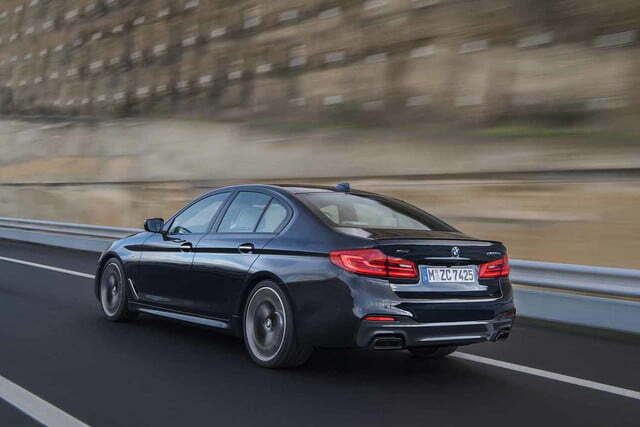 It won’t remain the fastest, most powerful member of the 5 Series lineup for long, because the next-generation M5 is expected to debut in March at the Geneva show with over 600 horses under the hood and the added benefits of all-wheel drive.